Welcome to the Crazy Crafter’s blog hop with the amazing Wendy Cranford! Wendy is a prolific crafter with a fantastic blog full of ideas and videos. Wendy show cased this stamp set, Marquee Messages, earlier this month. This set has a real 50’s feel and Wendy looked into the colours of the era to use in her card. Like Wendy, I loved this stamp set as soon as I saw it and would love to do a project using the little LED lights sometime. I looked into the vintage colours of the 50s as well and found that Old Olive, Pumpkin Pie, and Dapper Denim all matched colours of the era. After stamping in black Staz On I’ve used the Stampin markers to colour in the image. The lights and sentiment are highlighted in white embossing. I think I will get out my Full round Black with Pink Polka Dot Skirt with the large petticoat underneath it and my little soft Pink cardigan to match with my black flats and go out for a dance. Mmmm the Jive my Favourite 🙂 Dream on Chrissy! 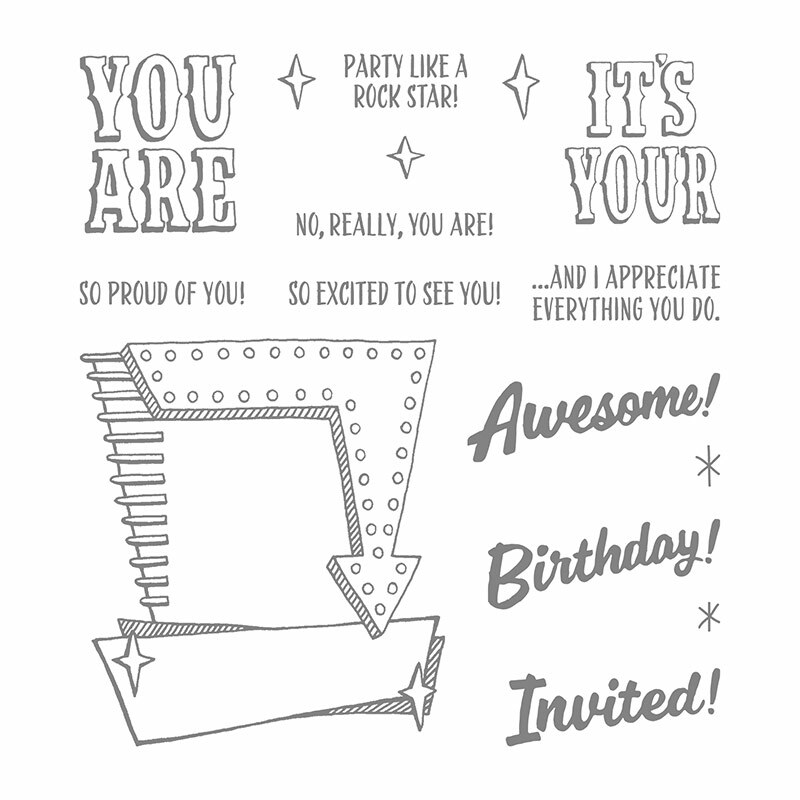 Love this card – I really need this stamp set! GREAT job! I love this card. One of my favorite stamp sets in the annual catalog. This is a great example of clean and simple card. The colors are beautiful together and it’s great card for a teenage boy, which is the hardest card to make for me. Well done. I do love the retro feel as well, great CASE! Great card. Love the retro look of your card. Wow what an amazing card! Great CASE Lisa. Love the colours you’ve used.